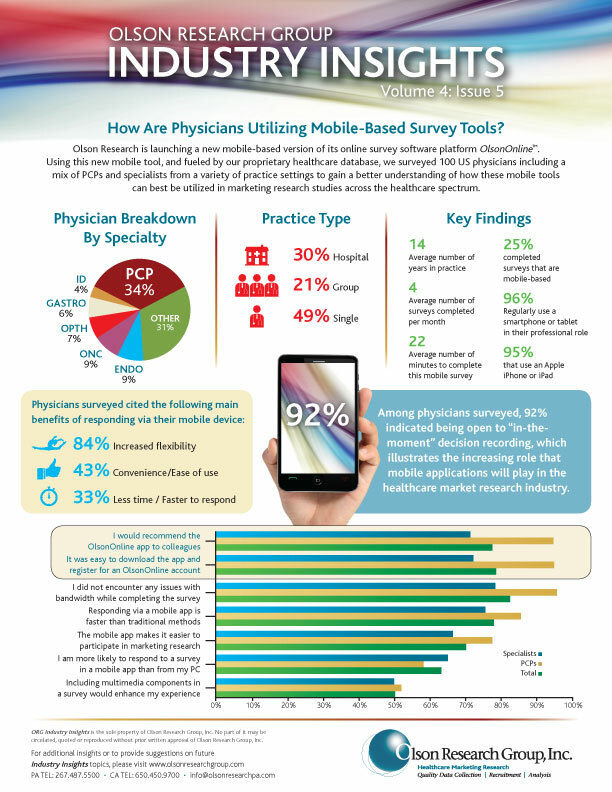 How Are Physicians Utilizing Mobile-Based Survey Tools? 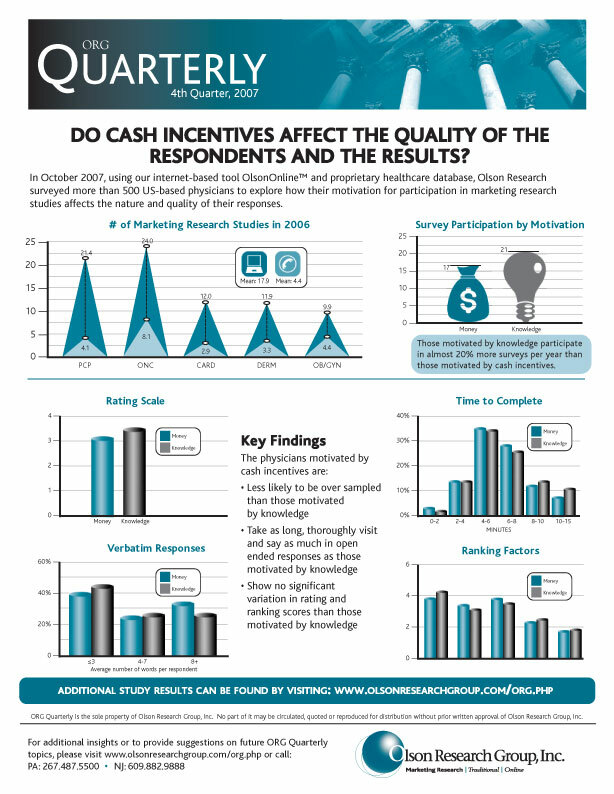 Do Cash Incentives Affect The Quality Of The Respondents And The Results? 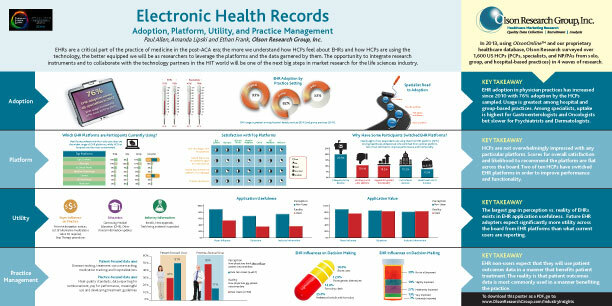 ORG Quarterly 4th Quarter 2007 In October 2007, using our internet-based tool OlsonOnline™ and proprietary healthcare database, Olson Research surveyed more than 500 US-based physicians to explore how their motivation for participation in marketing research studies affects the nature and quality of their responses. © 2019 Olson Research Group. All Rights Reserved.